Join me tonight at 8:00 EST for tonight’s Final Cut in Movies Radio Show. 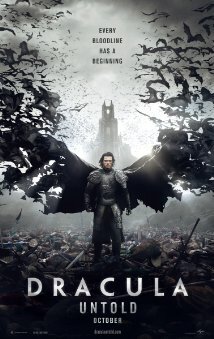 I’m discussing the movie, Dracula Untold, starring Luke Evans, Dominic Cooper, Charles Dance, and Sarah Gadon, and directed by Gary Shore. I will also be filling everyone in on vampire lore, and the history of Bram Stoker’s Dracula, as well as the link between Stoker’s Count Dracula and Vlad the Impaler. This entry was posted in Radio Show: The Final Cut and tagged Bram Stoker, Charles Dance, Dominic Cooper, Dracula, Dracula Untold, Gary shore, Luke Evans, M. B. Weston, movies, radio, Sarah Gadon, tmvcafe, vampire lore, vampires, Vlad the Impaler. Bookmark the permalink.